Get School Psyched about Social Justice! Click to join the School Psyched about Social Justice Facebook group! Link to chat line, phone number, and multiple resources for suicide prevention, loss and disaster survivors, attempt survivors, youth, veterans, Native Americans, and LGBTQ+. Trans suicide prevention hotline. Peer support services, material support, advocacy, education, and resources for LGBTQ+ individuals in need. Human trafficking is a form of modern slavery in every state. Be vigilant. Be informed. Link to chat line and statistics and information regarding human trafficking in West Virginia. Meet Yasmin! by Saadia Faruqi is the story of a young Pakistani American girl who searches for creative and innovative ways to take on life as a second-grade student. This book is the perfect way to celebrate Arab American Heritage Month. Saadia Faruqi is a Pakistani American author, interfaith activist, and cultural sensitivity trainer. Click to learn more about Saadia Faruqi or to connect via Skype for classroom interviews. 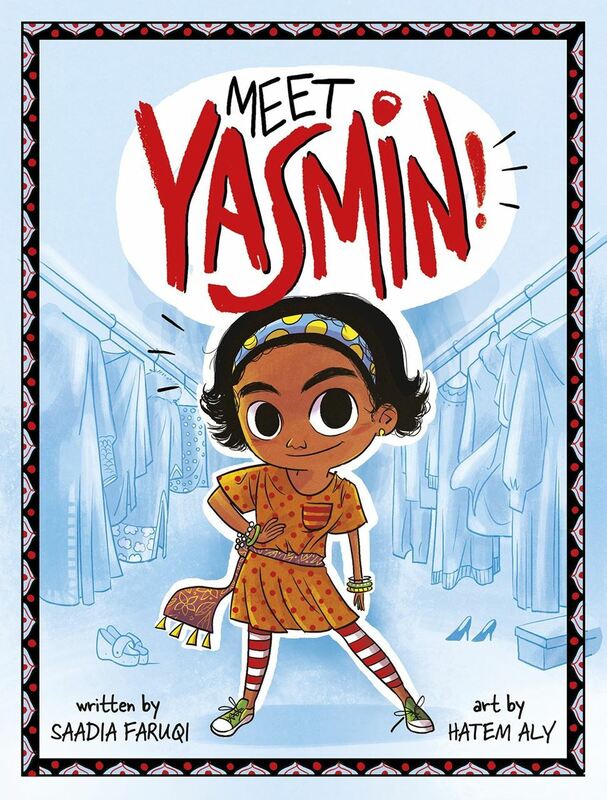 Click to discover a reader’s guide and classroom activities for Meet Yasmin! Click for the podcast Lifeline: Books that Bridge the Divide, discussions facilitated by two authors regarding books that can foster diversity and acceptance across cultures. Click here to check out NEA resources. Click here to check out NASP resources. If you know of a valuable resource, and don't see it listed, email: mailto:britaineyacooper@gmail.com. Imalive.org: Suicide and crisis support. Teen Line: Any issues. This resource is comprised by teens supporting teens. Also a great resource for high school students needing hours in psychology. Teen Help and Support Lines for Girls: Support lines specifically for females, including safe baby resources. Courtswv.gov Public and Other Resources: Follow link to resources for reporting abuse, case digest regarding laws surrounding abuse, and links to foster care information. DHHR Centralized Intake: A how-to link and contact information for reporting suspected abuse. DHHR Family Assistance: Emergency and disaster assistance, refugee support, CPS, and APS. Foster Care and Adoption: Steps on how to become a foster care provider. Hope, Inc.: Private, non-profit agency offering shelter to domestic violence or sexual violence survivors. Employees go into the schools to work with staff and students are at-risk. They help families and individuals connect to necessary community resources. Currently serving Doddridge, Gilmer, Marion, Harrison, and Lewis. The Paper Tigers Project: Download and print handouts viewed as samples during the film. Links to ACEs research and the Amazing Brain series. Adolescent Health Initiative Coordinator Contact List: Various regions have Adolescent Health Initiative Coordinators. They oversee cooperative efforts to communicate and coordinate regional, state-wide, and national resources across West Virginia. They do everything from staff development to direct support for school systems and communities. If you haven't met yours, reach out. They are amazing! Community Care School-Based Health Centers: Community Care centers offer a variety of pediatric care in the school setting. Some sites are beginning to offer school-based mental health support. Currently serving Pocahontas, Lewis/Gilmer, Upshur, and WV Wesleyn. MODIFY Program: Mentoring with Oversight for Developing Independence with Foster Youth (MODIFY) provides ongoing support, including education vouchers, to youths 18-20 who are transitioning out of foster care. They also provide assistance to the DHHR, foster families, and group foster care residential facilities. National Runaway Safeline: Hotline for runaway children trying to find help or their way home. 1-800-786-2929 (1-800-RUNAWAY). There is also a chat line, email, and forum. Download Runaway Poster. Download Home-free Poster. Proud. Strong. Resilient. : Wearewv.org is a growing (almost) state-wide community building coalition focused on helping communities take action to foster resilience in West Virginia youth. See Coordinators by County. Safe-at-Home: Printable flyer for Safe-at-Home program, which is a wrap-around support program for youths at-risk of removal from home or residential placement. Arab America: Information on Arab America including scholarships, news, events, and resources. Association for the Study of African American Life and History: National events, news, speakers bureau, resource packages, news, national and local partnerships, online store, and more. Black History in West Virginia: Information about influential African American individuals who were born or grew up in West Virginia. 2019 Black Migrations PDF: Printable resource explaining the theme of 2019 Black History Month. EMPOWERS: Organization that creates programs drawing k-12 girls into STEM fields in West Virginia. The Status of Women and Girls in West Virginia Report (2013): Comprehensive report documenting progress of women and girls in West Virginia and highlighting where improvement is needed. 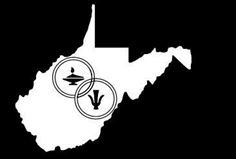 West Virginia Girls Collaborative Project: Connections to state-wide resources encouraging girls to go into STEM fields. West Virginia Women's Commission: Fostering the health and wellness of women and children across West Virginia. The site provides annual reports of progress. Dr. Rainbow: Developed by the Covenant House in Charleston, WV, Dr. Rainbow is dedicated to connecting LGBTQ+ West Virginians with practitioners who are accepting of LGBTQ+ individuals and knowledgeable of issues specific to LGBTQ+. Comprehensive List of Resources: No need to totally reinvent the wheel. Here is a comprehensive list of LGBTQ+ support resources, literature, legal assistance, school and community resources, and Facebook groups. NRS LGBTQ+ Brochure: LGBTQ+ individuals are more likely to runaway from home. They are also more likely to report sexual abuse by caretakers and sexual victimization on the streets. The attached National Runaway Safeline brochure is information on how to help. LGBTQ+ Center at WVU: Events, safe-zone resources, and campus/community resources. LGBTQ+ Resource Packet: Core vocabulary, inclusive language, studies minor, national resources, WVU resources, preferred name request form. Adolescent Suicide Assessment Protocol (ASAP): This screener provides a snapshot of level of risk of suicidal ideology/threats..
Help and Hope WV: Prevention, programs, funding, rehabilitation, harm-reduction, and more...resources available throughout the state for those affected by substance use disorder. Focus on community restoration. Help4WV: 24/7 resource, call, chat, and text line providing immediate help for West Virginians struggling with addiction or mental health. Mobile Crisis Unit: 24/7 service covering multiple counties. When calls are made, visitors work with schools and families to intervene with emotional or behavioral crises. United Summit Center currently serves Barbour, Braxton, Doddridge, Gilmer, Harrison, Lewis, Marion, Monongalia, Preston, Randolph, Taylor, Tucker, and Upshur Counties. FMRS currently serves Raleigh County. Opportunity House: Located in Buckhannon, West Virginia, Opportunity House is a non-profit organization supporting all paths to recovery. Region4Tomorrow: Suicide prevention resource serving Barbour, Braxton, Doddridge, Gilmer, Harrison, Lewis, Marion, Monongalia, Preston, Randolph, Taylor, Tucker, Upshur counties. Stigma Free WV: Events, support, and resources for people affected or those working with people affected by stigma, particularly mental health and substance use but also includes racism and LGBTQ+ discrimination. Connections to inspirational TED Talks, Facebook groups, and so much more. Does Class-size Really Make a Difference? Is it better to be culture-blind or culture-aware? Wrap-around programs designed to keep students at home when possible are controversial. Work with DHHR to determine the effects of wrap-around programs on children in West Virginia. Know of a great resource that you don't see listed on this page? What's happening in your region? OR send resource information to mailto:britaineyacooper@gmail.com.